Diamonds Update: Synthetic Diamonds or Diamond Simulants: Why the Confusion? Synthetic Diamonds or Diamond Simulants: Why the Confusion? There seems to be a great deal of confusion about the words man-made, synthetic, simulated, and simulant as they related to diamonds. I get regular questions about the differences from clients and visitors to my blog and website. In addition, I see many articles written online that have added further confusion by incorrectly using the various terminologies. One of the reasons for this confusion is that many of the companies that are selling fake diamonds purposely use misleading terminology in the descriptions of their products. Many marketers work very hard to not say what their product really is (cubic zirconia for example) while making every effort to imply their product is just a different form of diamond. There are two types of diamonds: natural diamonds and synthetic diamonds. Natural diamonds are mined from the earth and formed by nature. Synthetic diamonds are man-made in a laboratory using high pressure and high temperature. Other terms used to describe synthetic diamonds include cultivated, cultured, man-made, Some of the brands of synthetic diamond include Apollo, Genesis, Adia Diamonds, New Age Diamonds, Tairus, and LifeGem, and Chatham. While natural diamond is typically used for jewelry, the lower quality stones are used for industrial purposes such as saw blades and drill tips. Most synthetic diamonds are used for industrial purposes but as the brand name synthetics improve their products, increasing numbers of synthetic diamonds are now used for jewelry. Diamond simulants are materials that look like diamonds but do not have the physical properties of diamonds. These diamond simulants, also known as simulated diamonds, can be made by nature (white sapphire, quartz) or man-made (cubic zirconia, moissanite, glass, yttrium aluminum garnet). The manufacturer and retailers of moissanite typically market it as a unique material, not to be confused with diamond. While they often compare moissanite’s characteristics with diamond, the advertising is very specific that the material is moissanite. That is not often the case with cubic zirconia. Much of the confusion in recent years stems from the marketing of the various brands of cubic zirconia. Every brand touts itself as the best diamond simulant while usually avoiding admitting the material is cubic zirconia. As a result, the shopper who reads the advertising about these brands is not sure what material they are considering and often confuses them with synthetic diamond. Just because cubic zirconia is man-made and therefore synthetic, does not make it synthetic diamond. However, when you read the marketing literature on the various brands of cubic zirconia, it is obvious that those companies try to confuse shoppers into thinking they are some form of diamond. It is easy for a gemologist to determine the difference between diamonds (natural or synthetic) and diamonds simulants (fakes) but it is not so easy to determine the true type of material from the marketing ads. I hope that the discussion above will help to sort through the misleading marketing descriptions. It is important for consumers to understand the terminology so they can make an informed decision on what stone is correct for their particular requirements. If you have questions about particular synthetic diamond or diamond simulant products, please leave a comment below. I will research the produce and respond to your comments with whatever assistance I can provide. If you have a question, chances are other consumers have the same question and we want to help shoppers avoid making expensive mistakes whether they are buying diamonds or diamond simulants. This is a very old thread but if it's still being updated, can anyone tell me anything about the Amora Gem? From my understanding, It's being advertised as a unique (almost like a moisenite but better) stone that is lab created and superior in quality then other stones besides natural diamonds. Is this just another CZ?? I found a company called Agape simulated diamonds. They claim to be superior to CZ. Now I'm wondering if its kust a high quality CZ! Any advice? What Are Amorphous Lab-Created Diamonds? Through the use of ADT (amorphous diamond technology) technology man-made diamond crystals are infused into simulated crystals to create a diamond top that is made of pure carbon SP3 bonds. This adds a thick layer of organized lattice on the surface of these stones and allows them to convey a look and feel that approximates authentic diamonds. In fact, in their optical and physical properties they are the closest that synthetic diamonds come to natural stones.The upper layer of carbon lends a sparkle to these stones that makes them stand out amongst the other lab-created stones. I recently purchased a Amora h&a from Better Than Diamond (which i love). It was there that I learned the difference between a 'forever' stone and a cz (ie: asher). Can anyobe tell me other places that sell forever diamonds? Dear Mr. Reinke, I found your blog after researching the SONA NSCD jewelry sold at www.PortCityJewelers.com and on eBay.com. I was CONFUSED prior to this search but I was MORE CONFUSED after reading about sona nacd!!! Your blog has HELPED TREMENDOUSLY in clarifying all the advertising/marketing hype around this huge industry of FAKE aka SIMULANT diamonds...most of which are a variety of common cubic ZIRCONIUM(CZ). Many people get easily confused.. Thank you for yet another great post. Sona diamonds are terrible! I scratched it a year into my marriage and they wouldn’t replace it like guaranteed. It wore like a CZ. I haven’t worn my wedding ring for 7 years and no jeweler will touch it. I believe Sona "Diamonds" are CZ so you should not expect them to wear any differently. My husband bought a ring at Erwin Pearl , which the saleswoman described as a lab created diamond. It is set in 14 carat white gold. It is a past-present-future ring and retailed over $600.00. We were very upset when we got home and I went on Erwin Pearls website to learn more about the ring to find out that it is a cubic zirconia! I contacted the company and am waiting for a reply. We feel that we can get a "real" lab created diamond ring for the price we paid. I hope they refund our money! It really is "buyer beware" when it comes to purchasing almost any item and especially jewelry. What a salesperson says has little value compared to what they might have provided in writing. Keep in mind that your real leverage is in social media or something like the Better Business Bureau. Just purchased a ring from AGAPE DIAMONDS. What do you know about the company and the quality of there lab created stones? I have always hand picked my diamonds, but decided to do a simulated on line this time. I have no personal knowledge of that brand name of diamond simulant. The important fact is that you realize it is not a real diamond. 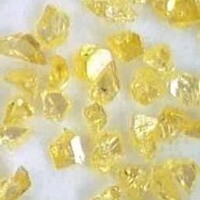 I am trying to find out what material the "Agape Diamonds" but the sources on the web are very slim and their website greatly avoids mentioning any composition info. Please share with us if you can find out what type of material that is made of. Other than doing an online search, I have no personal information to provide considering this product. The fact that their website does not provide composition information should suggest they are trying to hide or misrepresent something. Charles and Colvard has a Forever One Moissanite, it is an improvement to the Forever Brilliant Moissanite and it is also nearly colorless. You can see the comparisons to their previous Forever Brilliant line on youtube. Charles and Colvard keeps improving the quality of their product. I am really impressed. I am considering purchasing a moissanite ring. I am falling more and more in love with moissanite. I've been looking at Lifegems they seem to be about 2x the price of a natural diamond. (I have a 1.5c natural diamond we paid $10,000 for. While a 1c lifegem is $19,000) Are they only going to be worth that much to me or will future generations that no longer know who this person/pet is be able to get a decent price for them? Brand name diamonds tend to be more expensive just because consumers seem to be willing to pay more. However, that does not mean that other consumers would be willing to pay that premium for the brand name or the advertising story. This would be particularly true where the diamond is created from the remains that are meaningful for someone but likely nobody else. The bottom line is that the value is best determined based on the results of a GIA Diamond Grading Report. compared to other diamonds available on the wholesale or retail market. I hope this site is still getting questions answered! I was wondering if anyone had any information on Agape Diamonds simulated diamonds? They are more than your CZ or Moissanite cost, so are these a better quality stone? I was reading a bit about it and it seems they are not made from the same materials (per their site education) and wondering if anyone had any info on them. I am always wary when a retailer describes their product as Agape Diamond but then says it is a Simulated Diamond. A simulated diamond means it is not a diamond so why use the term "diamond" to describe it unless you are just trying to mislead a shopper? The characteristics still seem much like a CZ (cubic zirconia).